For nearly 70 years, the fate of U.S. Army Pfc. Lawrence Samuel Gordon's remains was a mystery. Gordon's family knew he'd been killed on August 13, 1944 during the failed attempt to surround the Germans at the Falaise Gap in France. He was one of 44 casualties in his reconnaissance division. The remains of 43 were identified and returned to their families or buried overseas. Gordon was the only one unaccounted for ... until now. On Monday, forensic DNA experts positively identified the remains of a soldier mistakenly buried as an unknown in a German cemetery in France as Gordon. But the announcement didn't come from the Joint POW/MIA Accounting Command (JPAC), the beleaguered U.S. agency tasked with finding and identifying the remains of 83,000 war dead dating back to WWII -- an agency that had a budget of around $100 million in 2012 and identified the remains of just 80 fallen soldiers. The identification of Gordon was carried out by a handful of volunteer researchers and forensic scientists who spent a total of about $25,000 to find and identify his remains. 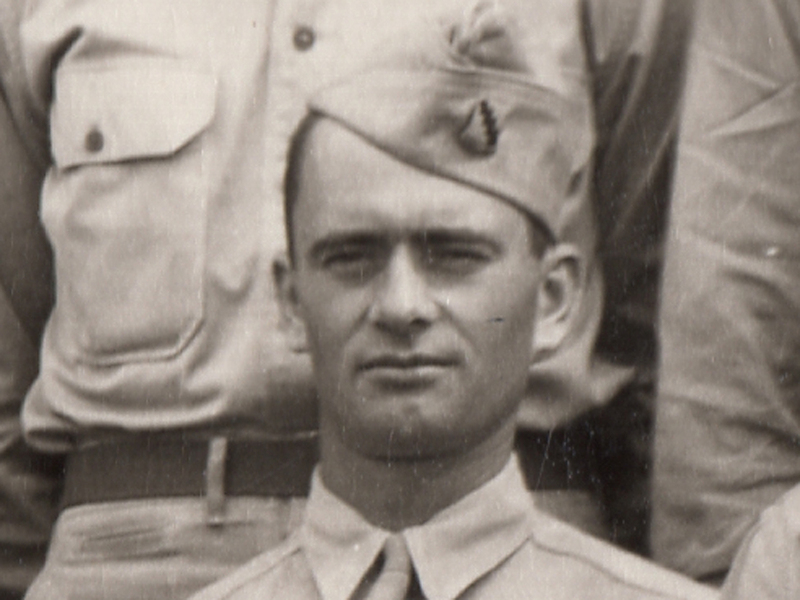 Jed Henry, a professional filmmaker whose grandfather served in the same military unit as Gordon was one of those researchers. "What makes this such a great story to me is that four average citizens and the Gordon family convinced four countries (Canada, U.S., France, and Germany) that cooperation and respect for a fallen soldier should and can circumvent politics, bureaucracy, and/or any language barrier. What is sad about this story is that out of all four of these countries, the United States is and was the absolute worst to work with," Henry said. It's a sentiment echoed by Lawrence Gordon, who was named after his deceased uncle. He'd been trying for years to get information about his uncle's remains, but was unsatisfied with the lack of assistance he got from the JPAC community. He worked with Henry to get answers on his own, but even when he got them, he says he hit more road blocks. During a taped interview with Henry in 2012, Gordon described his frustration with the process. "Almost all of it is being done by private individuals. It has been handed over and there still doesn't seem to be a spirit of cooperation, a desire to bring the body back, a desire to deal with it. It's like we'll put it on the pile and unfortunately it will be at the bottom of the pile and we may never get to it and that's a frustrating feeling." Gordon and Henry appealed to the governments of Germany and France (who shared responsibility for the Mont-de-Huisnes German War Cemetery) to disinter the remains of crypt 40, burial chamber 57, coffin number 8209, which they believed belonged to PFC Gordon. Germany and France agreed. In fact, France ordered its national crime lab, l'Institut National de Police Scientifique(INPS), to run DNA tests on the remains at no charge. JPAC would not accept the French results, so Gordon and Henry arranged to test the samples at two independent U.S. labs -- Bode Technology Group and the University of Wisconsin's DNA Sequencing Facility. Bode used the tiny samples sent over from the lab in France to test for nuclear DNA, a specific type of DNA unique to an individual. Ed Huffine, Bode's vice president of international development, announced the positive identification of those remains Monday. "This combination of DNA results is an extremely powerful tool to aid in the identification of our missing service members. The successful DNA testing on Pfc. Gordon's case demonstrates how nuclear DNA testing can be incorporated in a large-scale, systematic DNA-led system of identification of service members." Currently, JPAC usually only tests for mitochondrial DNA, which is rare but not unique like nuclear DNA. Even then, the agency never uses DNA as a primary basis for identification, instead taking an anthropologically based research approach. That could soon change. Last week, Defense Secretary Chuck announced changes to the agency, one of which would give control of service member identifications to an armed forces medical examiner with an emphasis on using DNA to make identifications. Secretary Hagel also said the new agency will cooperate more with families, like Gordon's. "I've directed the department to develop proposals for expanding public-private partnerships and identifying our missing," Hagel said last Monday. "The goal is to leverage the capabilities and efforts of organizations outside of government that responsibly work to account for our missing." The new structure will come too late to benefit Gordon and Henry, who identified Pfc. Lawrence Gordon not because of, but in spite of JPAC. They hope things will be different for other families still searching for answers. "I am extremely grateful for the public-private partnership between (University of Wisconsin) and Bode," Henry says. "It is a great example of how cooperation and partnerships can lead to the identification of our missing service members. In addition to that, the ability for both the UW and Bode to work with INPS, a French government agency, shows that this model could work here in the United States if our government were to pursue such a testing strategy." JPAC has now taken an active interest in the Gordon case, sending representatives to the University of Wisconsin for the next few days to examine test results. As for the remains of Gordon, the family and Henry will go back to the cemetery in France at the end of May for a ceremony in Gordon's honor. After that, the remains will be transported back to the U.S. on a commercial airliner as arranged by the family. On August 13, the 70th anniversary of his death, Gordon will be buried near his family in Canada.